SCVHistory.com | Melody Ranch | My Years With Gene Autry And Melody Ranch. Special to the Old Town Newhall Gazette | March 27-29, 1997. 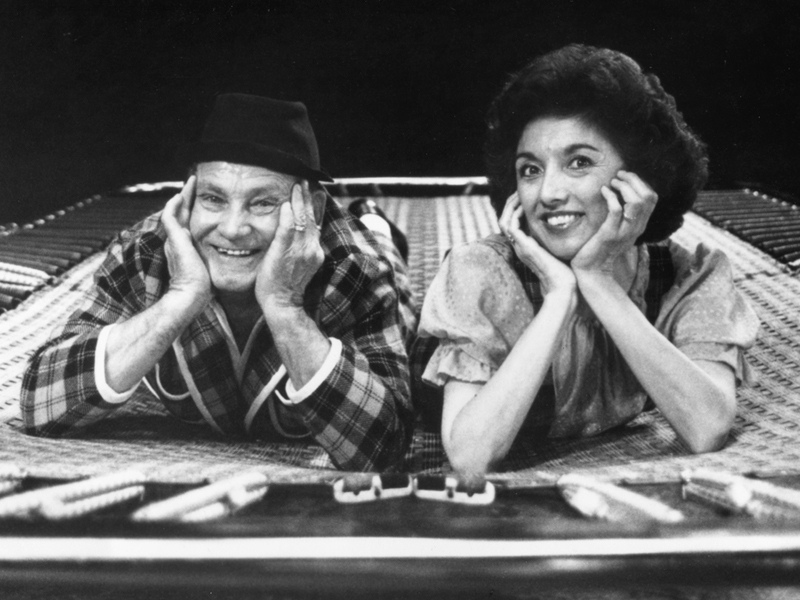 Publicity photo for Henry and Dolores Crowell's comedy trampoline act business, which they operated after leaving Melody Ranch. Henry was the ranch manager from about 1962-1991. Click image to see full view. In the white trailer was Gene Autry's horse, Champion. I spotted the truck and trailer by the side of the road while on my way to the Iowa fairgrounds, where I was to do a matinee. Mr. Autry would be doing the evening performance. At the fairgrounds, the driver told Autry that I had helped him. Autry instructed Herb Green to go over and ask me if I would like to work with Autry on his road shows. I said yes. The year was 1949. At the time, I was doing a comedy trampoline act. Mrs. Ina Autry, Gene's first wife, and I became very good friends. She was a wonderful person, the kind who always kept her word. We became such good friends, in fact, that she often referred to me as their son. Mrs. Autry set up an office for me on Sunset Boulevard in Hollywood, complete with a special parking place. While doing personal appearances with Mr. Autry, I worked with and befriended such people as Carl Cotner, Johnny Bond, Merle Travis, Gayle Davis (who played Annie Oakley) and Hubert Castle, who did a wire act. I finished the season, and the next year I received a call asking if I would like to tour with Mr. Autry's show. The shows lasted several weeks, whenever Autry had the time to make his rare personal appearances. It was my job to entertain the audience with my trampoline act and get them in a happy frame of mind before the star of the show, their singing idol, took the stage. Gene Autry continued to make personal appearances until 1961. He owned the Flying A Rodeo, with Harry Knight as show manager. We worked the RCA rodeos in the East — Madison Square Gardens, the Boston Gardens, and just about every big indoor rodeo arena. Mrs. Autry repeatedly tried to persuade me to go out to Melody Ranch in Newhall. She insisted that I would do well in the movie business. After some consideration, I declined. At this stage in his career, Mr. Autry was busy making television shows — the Gene Autry Show, Annie Oakley, Buffalo Bill Jr. and Range Rider. Despite Mrs. Autry's appeals, I felt I just would not fit in in the television industry. To appease her, I did come around occasionally and did stunt work for Mr. Autry from time to time. In 1961 Autry purchased the California Angels. 1961 was also the end of the road tours. The following year came the fire. After the fire, Mrs. Autry said to me, "Now you can take care of Champion, manage the Ranch and raise your family there." This time I agreed, and came to Newhall to stay. I cared for Champion and the other horses at Melody Ranch and managed the Ranch for over 30 years. One of the hardest things I ever had to do was to put Champion to sleep. The date was May 9, 1990. I'll never forget it. 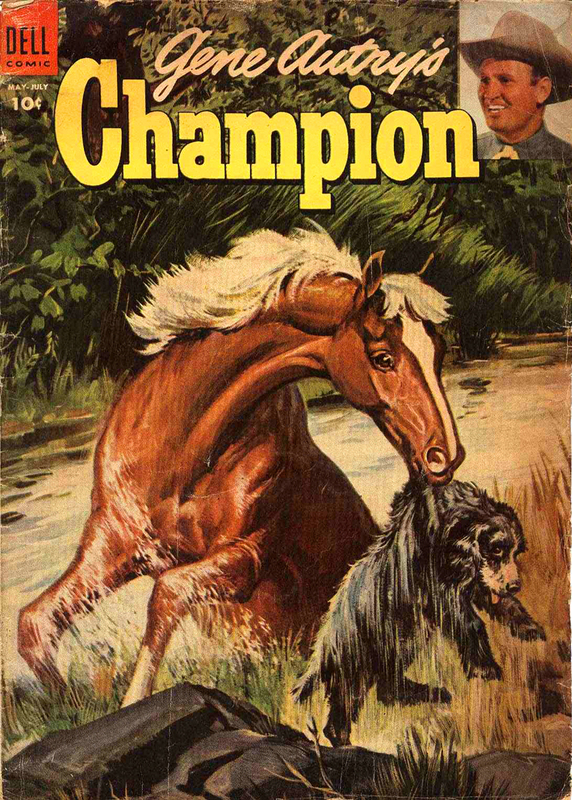 Champ was a lot more than just a horse. Champion was my special friend. I could make Champ smile just by raising one hand. 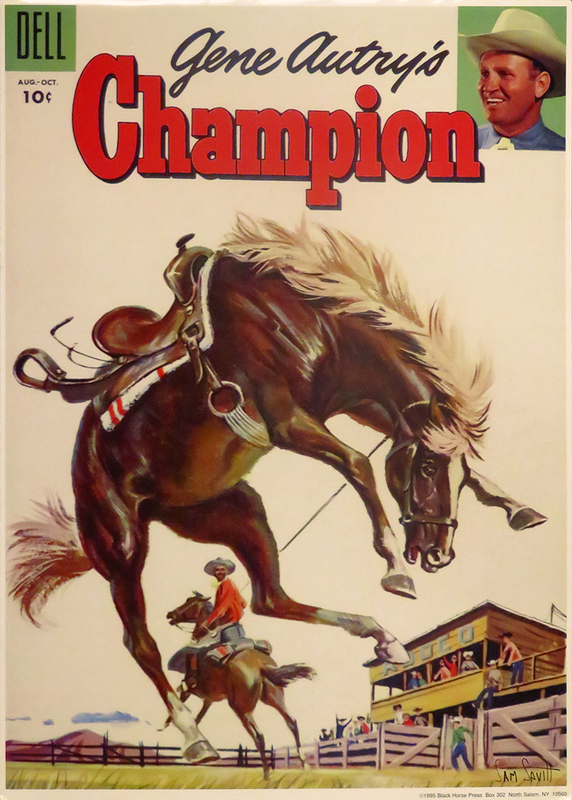 When the Gene Autry Western Heritage Museum was in the planning stages, I was the one to whom they turned for information on how Champ looked many years ago. Melody Ranch was once a sixty-acre ranch. There are a lot of memories and history there. Numerous actors, both known and unknown, made movies there over the years. A partial list would include John Wayne, Preston Foster, The Cisco Kid, James Arness and Dennis Weaver of Gunsmoke fame. Another is the former President of the United States, Ronald Reagan. Hopalong Cassidy made his last television series at Melody Ranch, and actors Bob Steele and Rex Rossi worked at the Ranch numerous times. I am proud to have been a small part of that history. When the Ranch was sold to the Veluzats, I was happy to know that such a nice family would be the new owners. The Veluzats were eager to rebuild the Ranch back to the way it was. I am pleased to know that the property I helped maintain for so many years is being cared for with a lot of respect. My family and I feel welcome at Melody Ranch, and we wish the Veluzats all the best in the future. Henry Crowell and his wife, Dolores, were married at Melody Ranch in 1983. They now live in Littlerock, California, where they operate a comedy trampoline business and perform a Western whip and high-wire act. For booking information call "Fun on the Trampoline" at 805-944-1644.